I really don’t even know where to begin. The thing I’ve been saying quite often is “is this real life?” To which my team replies, “Is-Real.” Isreal, get it? 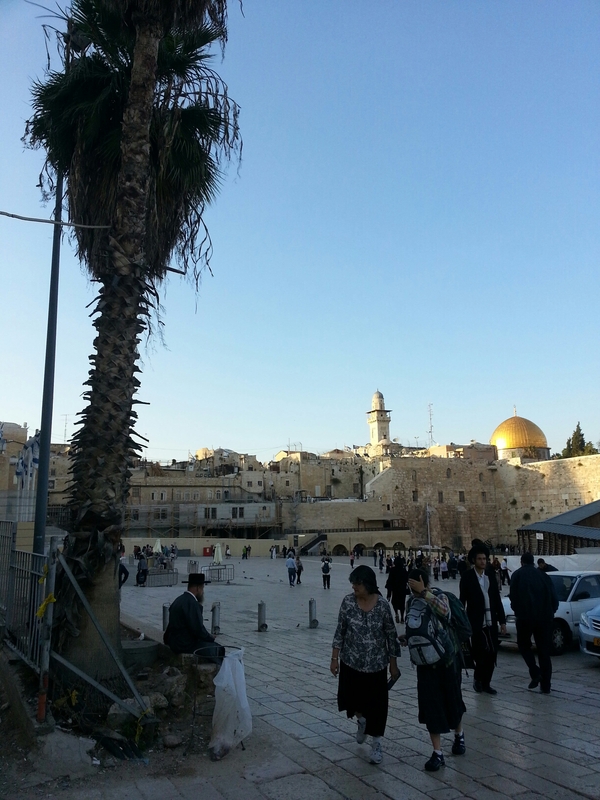 Let me explain to you what my experience is Jerusalem has been like, using the 5 human senses. Ill start for now with sight, and carry on with others senses when I have more time. Every building in Israel must be made with the gold-looking limestone as shown in the pictures. It’s the stuff they’ve been using for milleniums, and it helps make everything look ancient, even if it is newly built. In the psalms they refer to the hills of Jerusalem, and yeah there are hills! I say that because it’s one thing to read it, and another to see it. They are big, But they’re not mountains. They are fluid and smooth and overlook every part of the city. With the lag of the jet as I’m calling it, (or the jag of the let, if im too tired to talk) I’ve woken up very in the morning since I’ve gotten here. 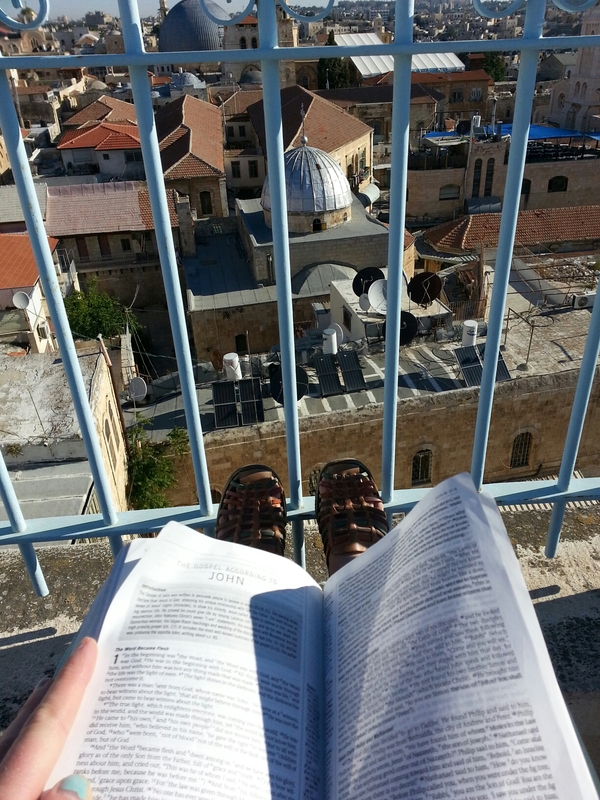 Its been great because I’ve had the chance to go for a run to the top of the Mount of Olives two mornings in a row. From there I’ve seen the sun rise over the Old City, and even the faint arc of a rainbow on the morning when it decided to ‘rain.’ Jerusalem is a melting pot of the world’s three biggest religions: Judaism, Christianity and Islam. This creates such a diverse culture of clothing, symbols and stores. Jewish people, depending on how serious they take their faith, have had me refer to Deuteronomy to understand why it is that some have long curls and wear tall black hats. Ive taken to wearing long skirts and sleeved shirts because of the Arabic Muslim culture. This is a city of prayer and it is best to try not to offend any faith by showing too much skin. The colours here are amazing. Imagine this: Feshly squeezed juice vendors with piles of oranges, grapefruits, carrots and pomegranates. The markets have stores that sell only one product, making the most colourful and organized shelves full of beads, carvings, rosaries, and mosaics. Even the scarves are sold in every fabric and colour. The plants though! I have never seen such huge aloe vera plants in my life. There are palm trees and big pine-looking trees with thousands of pine cones. There is rosemary growing wild in all of the old stone walls, creating a beautiful metaphor of life growing in every crack of the old city. The birds too! This place is a migratory route of every type of bird. 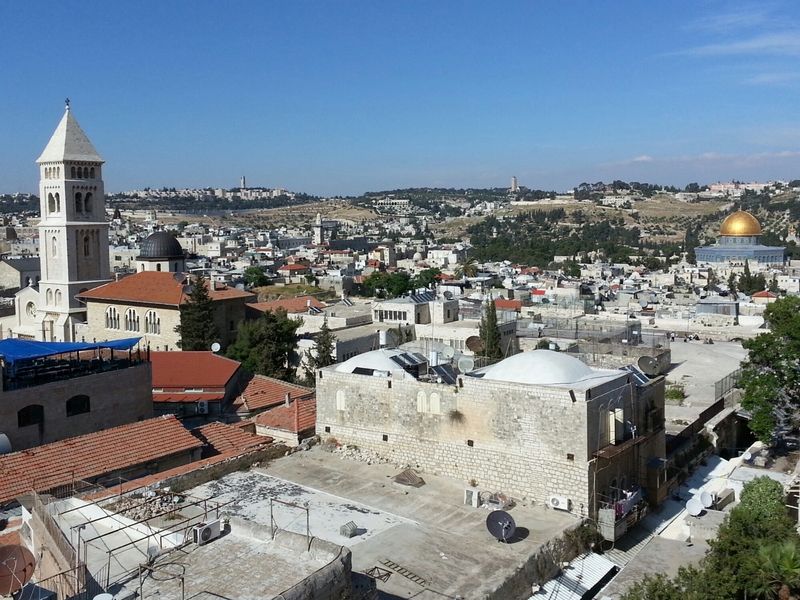 Flocks of sparrows soar back and forth above every mosque, church and synagogue in Jerusalem. They nest inside the walls like the rosemary, making the Western wall a home for winged families, and not just Jewish prayers. There are stray cats all over the place. Kittens with their ribs showing climb all over the streets, alleys and roofs, adding some extra entertainment to it all. I will have to add more about the sight of this country later, and continue with the other senses as well. I love this place and am so thankful to be here.